The way we are banking these days is changing rapidly. The process is now getting paperless and faster. With the ever-growing need of instant money for medical emergencies, purchase of a large asset, wedding or travel expenses, vehicle or home repair expenses or any unplanned event, the need for instant loans online is increasing too. One cannot spend 1-2 weeks to get a minimum loan of ₹ 10,000. Instant loans are getting popular due to its short application procedure and quick processing time. Instant loans are those types of loans which don’t require too much of the documentation and are approved really quick without any asset showcase. The process is minimal and convenient compared to the traditional bank loans. Instant loans are also termed as personal loan OR quick loan. You can apply for personal loan online without visiting any bank or filling out long forms. It saves the lenders as well as the borrowers’ time. • Almost everyone is eligible to apply for a personal loan without any guarantor or with bad credit history. • Your age should be between 23 years old to 58 years old to apply for a personal loan. • The first step is to choose one of the personal loan apps for example – CASHe. • Download the app from the play store or app store from your smartphone. • Register yourself using your social media profile and get started. • Enter the amount of loan you want and the duration of the money loan. • Upload the documents required on the app from your smartphone. 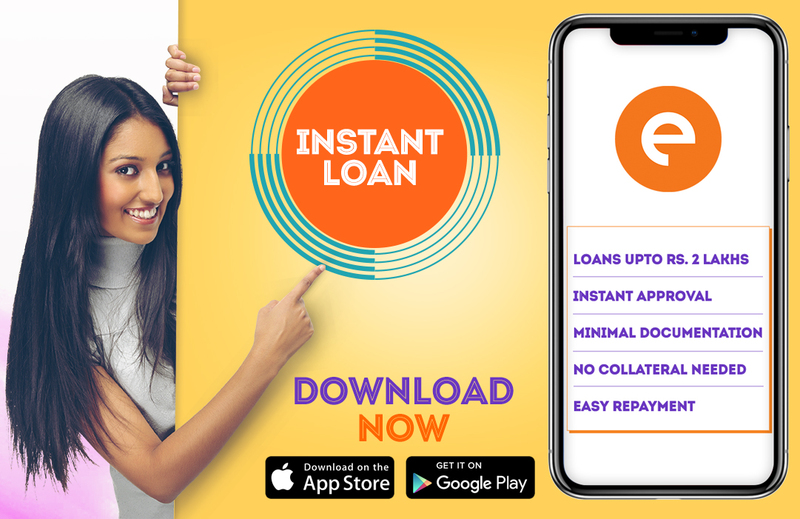 • You can check the status of your instant loans online on the app. Below are the documents which you will need to apply for personal loan online. • Identity proof: You will have to submit Aadhar card, Pan Card, Driving License or Passport as your ID proof. • Address proof: You will need utility bills like electricity, water or phone bill or Passport as your address proof. • Photo proof: A picture of yourself as a photographic proof. • Salary slips: Your latest salary slips from your employer will be required. • Bank statement: You will have to submit the salary credited bank statements. • Once your instant loan online is approved the amount is disbursed in your personal savings account within a few minutes. • The interest rates offered are quite competitive.